It also appeared in the NY Times. Let's clear this up, with facts. The international community supported the establishment of an "Arab State" in the West Bank Judea and Samaria, note: not specifically "Palestine", in 1947 with the UN partition recommendation. The Arabs refused that, just as they refused the 1937 Peel Commission suggestion of partition and just as the first partition, when historic Palestine was truncated and its eastern regions were separated from the League of Nations original mandate plan and awarded to a recent arrival from Saudi Arabia. Moreover, Jewish settlements rights were disallowed in those areas while Arabs could continue to live in and come to the Jewish section of Palestine. Furthermore, given the record of all lands yielded up or surrendered by Israel of the territories it gained in 1967 have been used as bases for hostile terror attacks, especially Gaza from which Israel supposedly "disengaged". To provide the Arabs with more such bases is quite the opposite of peace. 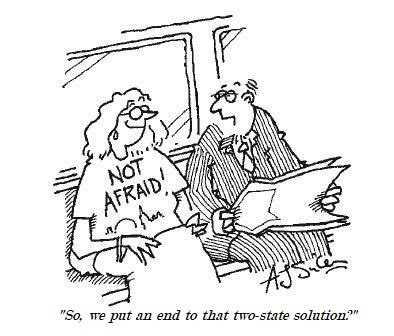 There is no logic in a two-state solution. The so-called "demographic threat" is not as portrayed. The figures are actually in favor of the Jewish population. But really. I detailed sources here. And you can search this blog going back over decade (using "demography", "demographic threat"). As for "democracy", if Arabs, or for that matter any non-Jewish minority, seek to de-Judaize the Jewish state, well, there are safeguards for that, or there will be. Otherwise, if all Jews need to exit the proposed state of "Palestine", why not all the Arabs exist Israel? Not that I am suggesting that but just pointing to the illogical thinking of some people who only care about Arabs. The Jewish character need not be "lost" without a strong Jewish majority. And, by the way, what is a "strong Jewish majority"? Is it 80%? 75%? 70%? 60%? What, indeed, is the cut-off? 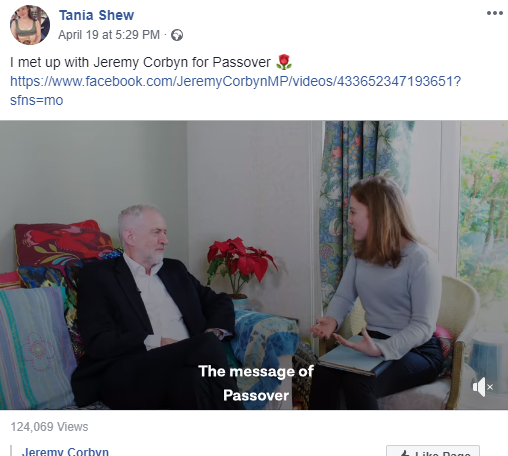 Or, what is Jewish? Do we have to regard all those who claim to be Jews as Jews? And what about the non-Jewish non-Arabs, the foreign migrant worker community? Are they a factor? Of course, all this avoids the central issue: is the Arab conflict with Israel and Zionism one of territory or is it existential? That is, will the Arabs honestly and genuinely accept a Jewish state in any territory they consider Islamic? Do they recognize Jewish national identity? Will Jews accept a state without Jerusalem in its entirety? AP reporting still stuck in the past. In a clip I've seen, Tania Shew 'explains' Passover to Jeremy Corbyn. Of course, what has been totally skipped over is that for the Jews to be able "never to oppress a stranger", they have to be in their own homeland. They have to be "home" where others are "strangers". If we're not in Eretz-Yisrael, that command is useless as everywhere else, we, too, are "strangers". We're not truly "home" in the Disapora. Watching the blaze at the Notre Dame Cathedral provides me an opportunity to relate a joke. fails to save Esmeralda and she is hanged. 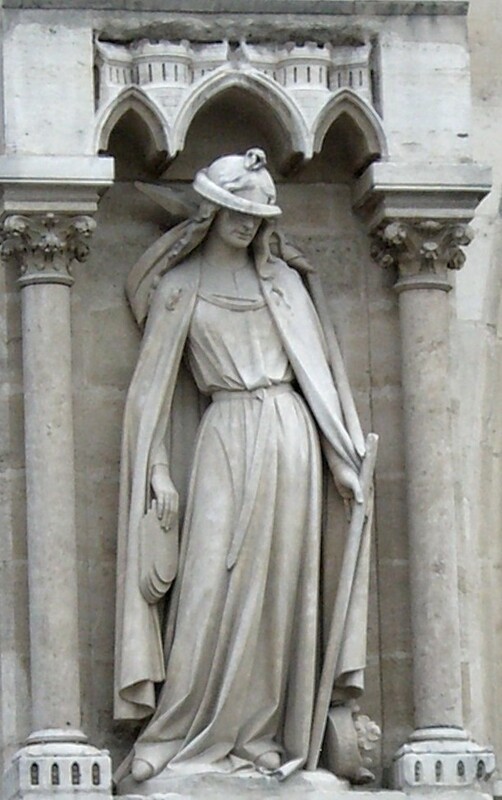 After Frollo is pushed by Quasimodo off off Notre Dame'roof, Quasimodo goes to the cemetery, hugs Esmeralda's body, and dies of starvation with her. 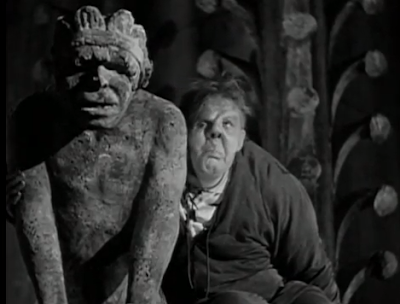 * By the way, there was a hunchback at Notre Dame in real life but that was in the 1820s and he was a stonecarver, Mons. Trajan, "Le Bossu". 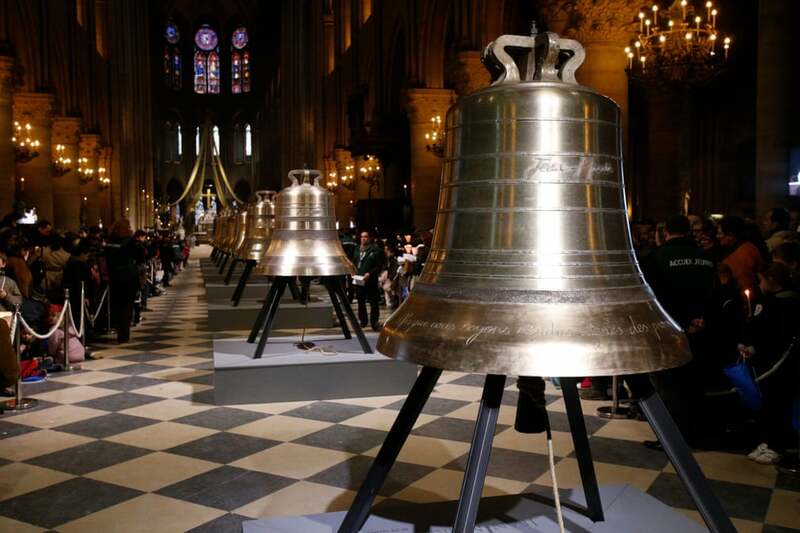 Notre Dame is left without a bellringer. A priest is ordered to search for one and places an advertisement in the local daily. A day later, a candidate shows up but he lacks arms. The priest rejects him as unqualified but the man begs to be given an opportunity to prove his ability. 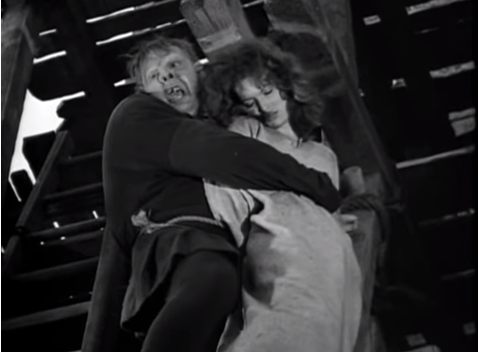 They ascend the bell tower and, using his head, the man displays remarkable physical abilities but the priest still feels he is not up to the job. Then, in an attempt to show how really loud he can ring it, he makes a mad dash from one end of the platform towards the bell, jumps at it, misses his object and falls out and down to his death. The priest dashes down the steps and begins to apply the last rites. One man in the crowd that has gathered askes him, "Do you know this man?" The priest answers in the negative and adds, "But his face rings a bell." Still without a bellringer, the priest places yet another advert and the next day, the same man shows up. It turns out the deceased bellringer has a brother. Shocked, the priest rejects him but when the man says that his brother had interviewed for the job to save the family from starvation, the priest relents and allows him to display his talents. The scene from the previous day repeats itself and to the priest's horror, he, too, in an attempt to show his ability, misses the bell and falls to his death. Again rishing down to apply the last rites, the priest is asked by another onlooker, "Father, do you know this man?" The priest looks up and answers, "No, but he's a dead ringer for his brother." When they attempted to detach this skeleton from the one it was embracing, it fell to dust. I heard this some 40 years ago and in a search found this. "The UK contribution to the Beresheet mission is a LEROS 2b rocket engine, developed and built at Nammo Westcott in Buckinghamshire. Originally designed for manoeuvring satellites into their final orbits and for deep space missions, the LEROS will power the lander during its transfer to the lunar surface, ensure a safe landing, and will also hop the lander to its second location"
Engineers believe a technical glitch — likely in the component that measures the spacecraft’s altitude in relation to the surface — triggered a chain reaction of events that caused the main engine of the spacecraft to stop. 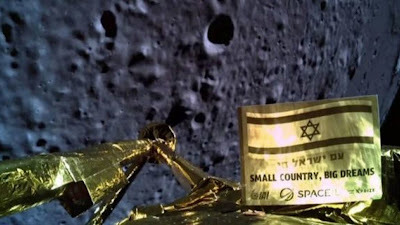 Without the main engine running as a braking mechanism, it was impossible to slow Beresheet’s speed from 1,700 kilometers per hour (1,000 mph) to 0 just above the moon’s surface. Engineers were able to restart the engine, but by this time the spacecraft was too close to the surface to slow down sufficiently. 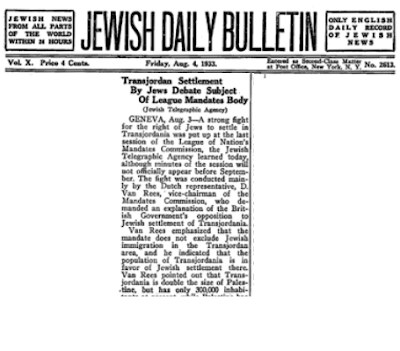 The British representative, Mark Aicheson Young, former secretary of the Palestine Administration, replied to Van Rees by stating that the British Government is not prepared at present to permit Jews to settle in the Transjordan territory. There is a general feeling in that country that settlement at present is impracticable for reasons of security, he contended. 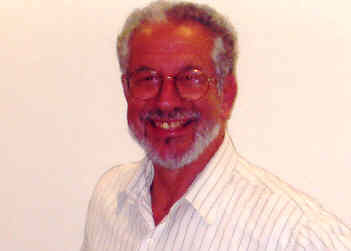 The British representative stated that though it is true that Transjordania is much bigger than Palestine it does not contain as much cultivable land, consisting largely of desert areas. The cultivable parts of Transjordania are as densely populated as the larger part of Palestine, Mr. Young declared. Lord Lugard, British member of the Mandates Commission, asked Mr. Young to define his Government’s attitude toward Arabs from Palestine settling in Transjordania with the assistance of Jews in Palestine. Mr. Young replied that the British Government would not object to this so long as the number of Arabs immigrating falls within the absorbtive capacity of Transjordania. He claimed that the Transjordan area does not contain large unoccupied tracts of land suitable to support a big wave of immigration. 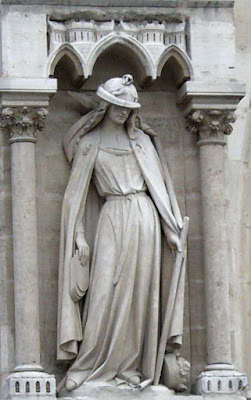 On 4 June 1917 the French foreign ministry issued the Cambon Letter, a statement that it approved a text presented to it by Zionists that "circumstances permitting, and the independence of the Holy Places being safeguarded... it would be a deed of justice and of reparation to assist, by the protection of the Allied Powers, in the renaissance of the Jewish nationality in the land from which the people of Israel were exiled so many centuries ago." It went on: "The French government cannot but feel sympathy for your cause, the triumph of which is bound up that of the Allies." Britain was given a mandate for Palestine, with the aim of fulfilling the Balfour Declaration. But Winston Churchill was also negotiating with Arab leaders about their demands for land, and so he had the details redrafted: Britain was no longer obliged to foster a Jewish state east of the Jordan River. At the same time, Britain also surrendered land in the north of Palestine, handing it to France, which had been given a mandate for Lebanon. The upshot was that in 1921 the land east of the Jordan River – forming 75 percent of Palestine – was hived off as Transjordan. It was meant to be temporary, to provide a haven for Abdullah, one of the Arabian princes at war with each other. 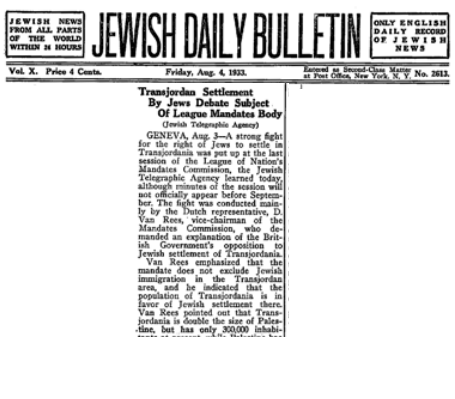 Weizmann protested, writing to Churchill to note that "the fields of Gilead, Moab and Edom, with the rivers Arnon and Jabbok are historically and geographically and economically linked to Palestine, and it is upon these fields, now that the rich plains of the north have been taken from Palestine and given to France, that the success of the Jewish National Home must largely rest..."